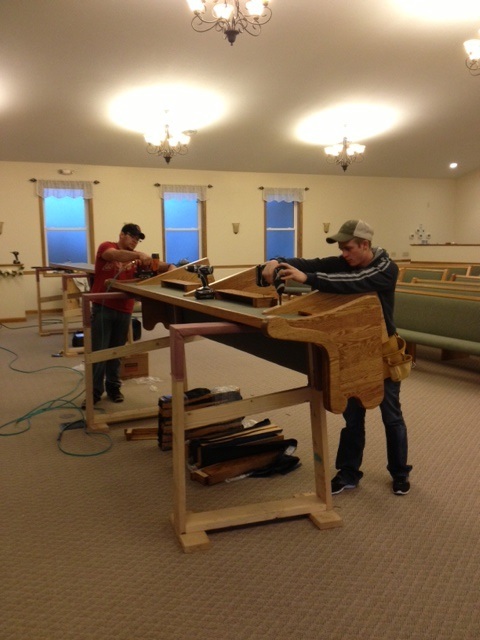 We’re in Utica, Pennsylvania, doing a church pew installation for Canal Church. Utica is a small town, with just about 200 people, in Venango County, Pennsylvania. Officially, Utica is a borough, rather than a town. It’s in Western Pennsylvania, between Pittsburg and Erie. This area used to be all about oil and steel. You can see us here working on the pews for this beautiful old church.